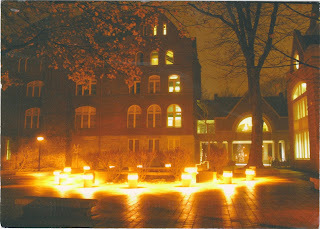 Postcard US-2550963 from Missouri shows a beautiful night view of the back of Old Main, The Link, and the Dewitt Wallace Library at Macalester College, St. Paul, Minnesota. It reminds me that this is the time of the year when college students pulling all nighter before the final exams. However, unfortunately, it is also the time when some unprepared students would try anything to desperately avoid, or even just postpone for a hours, the final exams. Harvard University had a bomb threat on Monday, December 16, 2013 that turned out to be a hoax, made by a student in an attempt to avoid a final exam. 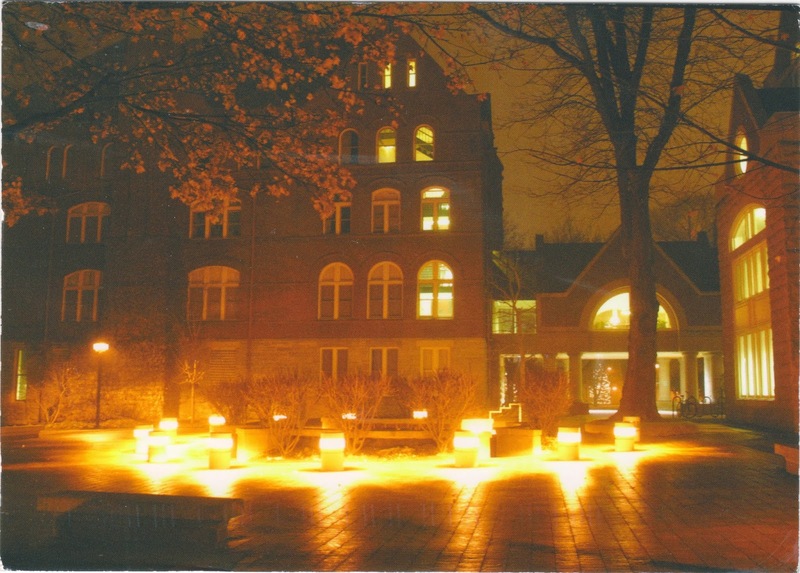 I remember that when I was in graduate school at the University of Florida, there were several occasions as well when students called-in bombs anonymously to dodge finals. In my impression, it never worked and the exams were not canceled. But that was a pre-911 era. Now the time has changed and the authority took it seriously. A 20-year old student was soon identified and charged with making bomb threats. So, the message is: study and read your books, don't even think about those tricks that will never work. A proverb in Chinese "躲得过初一，躲不过十五" means that it will happen sooner or later. Why not just face the music, and don't try to get yourself in trouble that could land you in prison for up to five years.